There are few stations and shows that can openly make fun of Donald Trump without retribution from its audience or Trump’s loudest supporters. 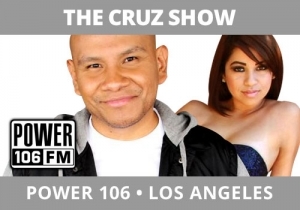 The Cruz Show, Power 106, Los Angeles is one. With its intensely loyal Hispanic base, the show can consistently go there, with the audience identifying with their point-of-view all the way. Once laughter is included, and we figure out how to entertain around the topic, it makes it even better. They asked the audience the simple question, “I’d rather (blank) than see Donald Trump become president.” This works because it’s a Hot Topic with an interesting take – every answer is different so the bit doesn’t become stagnant. The execution was even better – with them culling answers from people on the street and on the phones – two approaches to make it sparkle.